Products of the domain : Château Corton André. Château de Corton-André is a reference in the Burgundy vineyard through its magnificent glazed tiles that overlook the vineyards of Aloxe-Corton and its large enclosure is the only castle of the Côte de Beaune in the appellation area Grand Cru. The estate has the peculiarity of producing both a Grand Cru red (Corton) and Grand Cru white (Corton Charlemagne). The vineyard is spread over more than seven hectares on the prestigious appellations of Corton, Pommard, Corton-Charlemagne, Volnay, Meursault ... By becoming owner of the Château de Corton-André, renamed Château Corton C. Foot in Burgundy while remaining faithful to the values ​​of excellence already demonstrated on the Château La Lagune or the house Jaboulet. 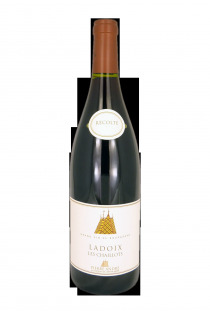 Ladoix Les Chaillots - 2011 - Château Corton André.